For many years, I have loved times of reflection upon the crucifixion of Christ more than I have loved times of celebrating the resurrection. Don’t read me wrong, I am forever grateful for the resurrection! That single act affirms everything Christ said, did, and will do. Hallelujah! Being invited, with others, to corporately reflect upon the death of an Innocent….how can I not be moved? Being asked to admit, with others, that the death of this Innocent, was all because of and for us…how can we not be emotionally stirred and thoughtfully reflective? My pastor, Rev. Chris Justice, will be preaching a series of messages throughout March regarding Christ’s moments of physical, mental, and emotional anguish as He experiences tragedy, mortality, and the consequence of sin. 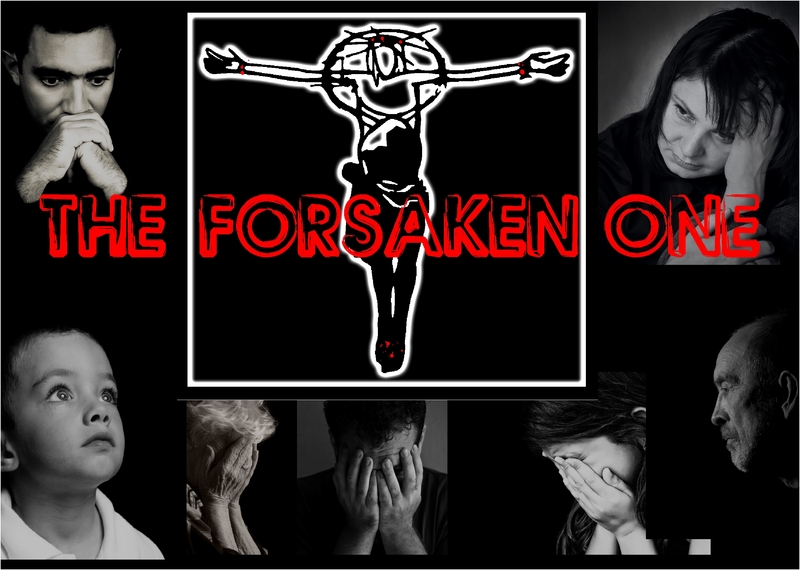 He has entitled the series, “The Forsaken One”; a direct reference to Christ’s declarative recitation of Psalm 22. You can listen to Pastor Chris’ sermons by clicking here. “The blood, it is my victory.” I know what my life would look like had Christ not offered Himself for me and had I not accepted this offer and pledged my allegiance and loyalty to Him. Nothing in me, that is good, is because of me. It is all because of the blood of Christ and my baptism in His Spirit. It is not humiliating for me to admit that I am nothing outside of Him. Because I know Him, this admission gives me an extreme amount of comfort that is indiscernible by this world. “Oh what love, no greater love, grace how can it be, that in my sin, yes even then, He shed His blood for me.” When our pastor’s wife, Becky Justice, sang these words with the choir, I was reminded that I know who I am and that I am in the ongoing process of knowing Him. When I consider the One who fully knows Himself AND fully knew me before I ever was…man, I smile when I sing these words. Amazing love! When I was an unabashed sinner, saying, doing, and thinking horrible things, Christ, knowing these things, intentionally laid Himself upon an instrument of fatal tragedy. Why would He do that? Because He wants to own me forever. I want Him to own me. Excerpt from the script – ““To take away the sins…” I’d never thought about those words. I’d read them but never thought about them. I thought You just, I don’t know, sent sin away. Banished it. Just like You did to the demons…just like You did to the hypocrites in the temple. I just thought You commanded the evil out. I never noticed that You took it out. It never occurred to me You actually touched it–or worse still, that it touched You. This song is a beautiful poem dressed with a beautifully haunting melody. The poem, curiously, leaves Christ in the tomb. It leaves the listener (meaning, someone actually listening; someone wrestling their inner thoughts should they be at war with the Spirit and His moment, even while seated in worship) to reflect upon the despair of that day…that specific moment in time when Christ was taken from the cross and laid in the tomb. This song does not resurrect Christ as most of the songs in our worship tradition do. It leaves us with the imagery of His body in the tomb, a lonely hill punctured with an empty cross, and a dreary raw Creation. I admit, I am guilty of romanticizing Bible stories like this one. I need songs like this that help me to engage cerebrally and emotionally. I have a vantage point as a current day Christian that those first Christians did not have. I can look back upon Easter as one with a complete, printed, and leather-bound Bible accompanied by years’ worth of Sunday morning messages, Sunday School lessons, Easter suits, and large congregations declaring exuberantly, “He is risen! He is risen indeed!” But what must it have been like to stand there that day, not having these things, and looking upon a bloody cross, a drained and mutilated body, and having experienced the raging of the earth and sky? offer. It’s nice to come across a blog every once in a while that isn’t the same old rehashed information.